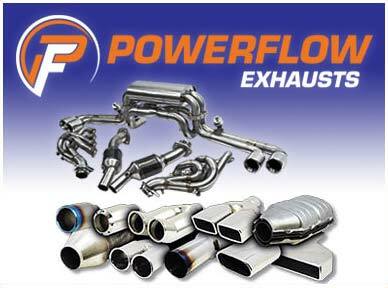 Whether it is a standard replacement car exhaust, or a one off custom project – we pride ourselves on having the ability to produce just the exhaust you need for your car. The only limit is your imagination – whether simple, subtle and quiet, a standard replacement, or something completely bespoke, we can fulfill your needs. 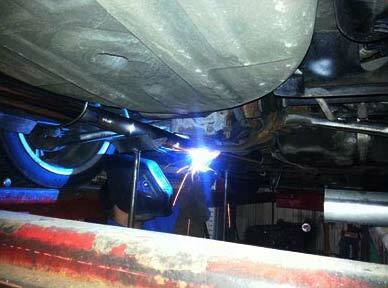 We can carry out repairs to your existing car exhaust, whether it be a simple weld, replacing a flexible section or even making a no longer available part. PLEASE NOTE! Because we make your car exhaust onsite the choices are massive. It is therefore almost impossible to give a price without seeing the car & knowing exactly what you want – especially by phone or email. The best way is to drop in with the car, let us have a look & we can price it up. 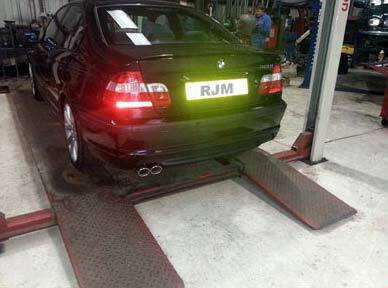 All exhaust estimates are FREE with no obligation. 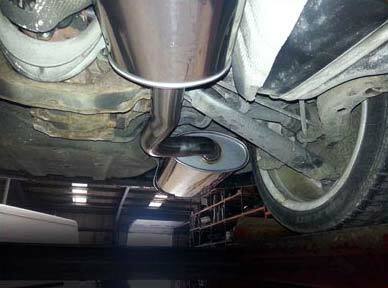 How we go about creating your standard or bespoke stainless steel exhaust system - A step by step guide to our process. First is the planning stage. We discuss with the customer what is wanted in terms of looks, tail pipe choice, noise levels & performance requirements. Once we have seen what needs to be done, we can accurately estimate the cost & time it will take to complete. 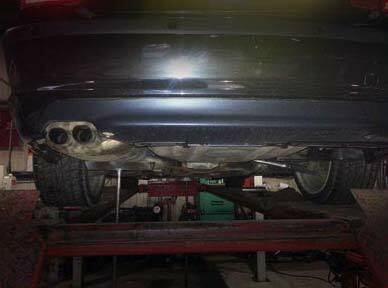 … and discarded to make way for the new Powerflow exhaust system. The fabrication process is now ready to begin. 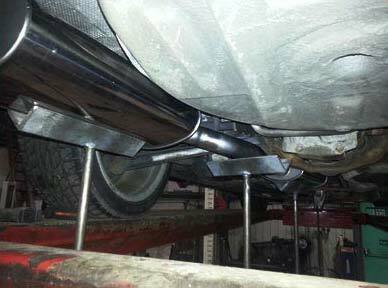 New silencers (and catalyst if using) are now set into the correct position using temporary fixings and supports to hold them in place. The pipework is then measured to length and bent into the correct angles to join all the separate elements together. 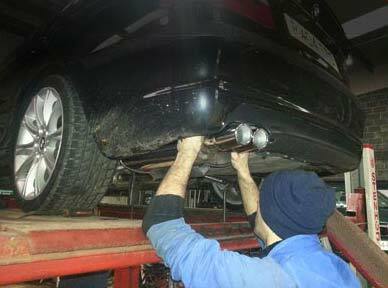 The newly made car exhaust is then fitted into position ensuring perfect alignment & fit. 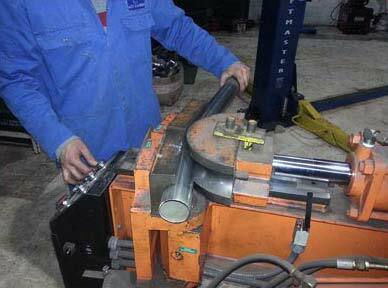 If needed, any final amends are made to the pipe lengths, bends and curves. Once the newly formed system is fitted exactly as required, it is partially welded to pin it together for removal. 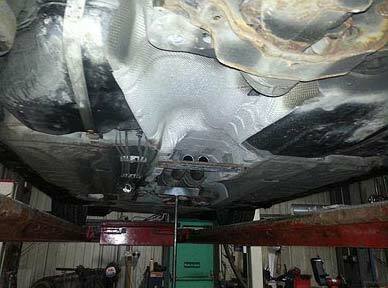 The new stainless steel exhaust system is then removed from the car & fully welded. 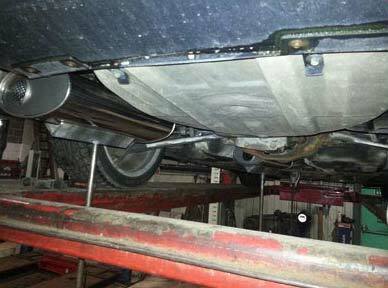 The system is now re-fitted to the vehicle using the correct hangers & brackets to secure it in place. 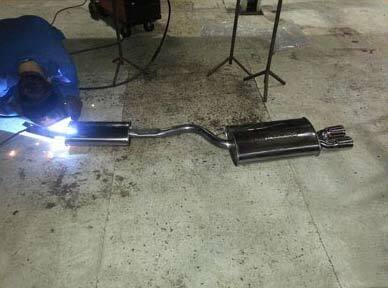 Finally, the completed car exhaust system is fully quality controlled and given a final clean. The finished article ready to go! © Copyright 2017. R.J.M & Sons (SCOTLAND) Ltd. All Rights Reserved.